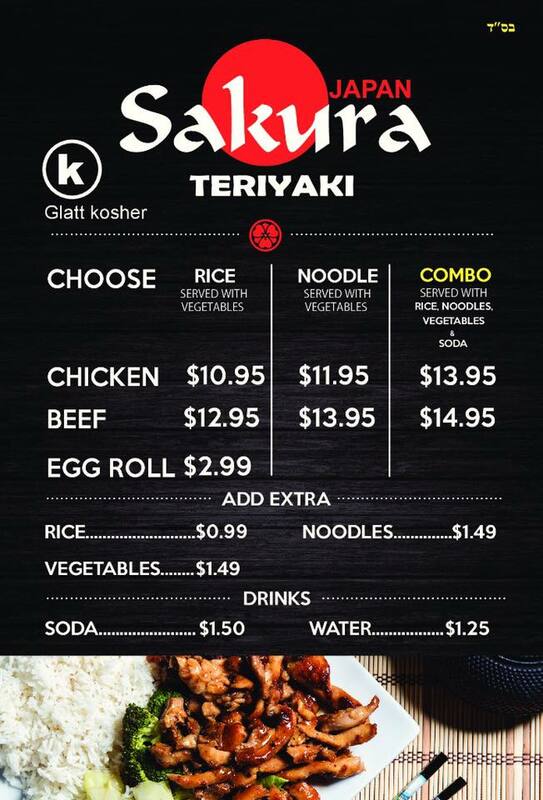 UPDATE: Sakura of Japan will officially be opening as kosher on Monday, 12/19. 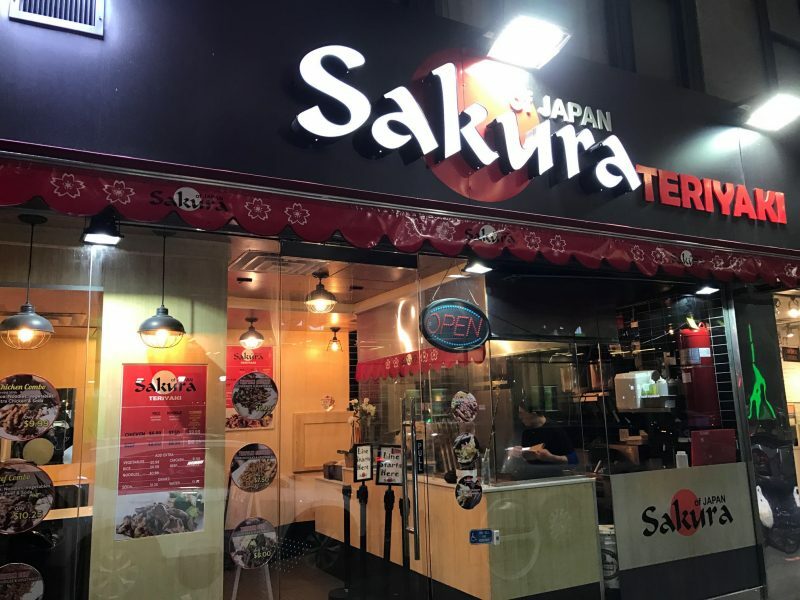 Opening its second (non-kosher) location in the city only a few months ago, Sakura of Japan is turning this new location kosher come next week. The restaurant has let us know that it will likely reopen as kosher towards the end of next week, closer to Thursday or Friday. 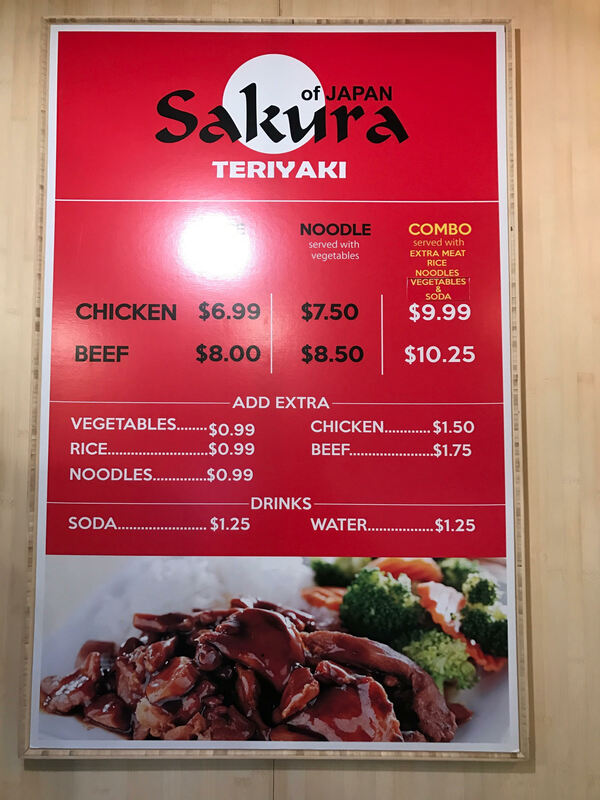 Having replaced half of Pitopia when it opened, the Japanese Teriyaki restaurant offers a simple menu of chicken or beef on rice or noodles, both served with veggies. According to Wikipedia, Teriyaki is a cooking technique used in Japanese cuisine in which foods are broiled or grilled with a glaze of soy sauce, mirin, and sugar. 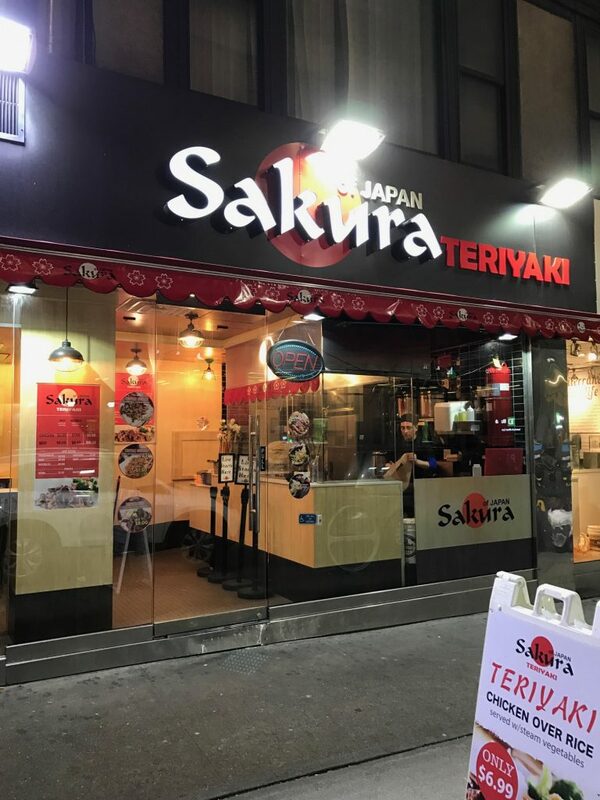 Please note: Sakura of Japan’s downtown location will remain not kosher. Kosher supervision for the midtown location will be under the OK.
Additionally, the owners of Sakura of Japan will be taking over the remaining half of Pitopia next door and turning it into a kosher burger shop named Broadway Burger Corp. Details coming soon.